Natalia Krupenko, PhD, joined the UNC Nutrition Research Institute in April 2014 as Assistant Professor. Dr. Krupenko’s research is focused on the role of folate (vitamin B9) in promoting health and preventing disease in humans. Folate deficiency has been connected with increased risk for neural tube defects, cardiovascular disease and cancer. Recently, however, concerns have been raised regarding the adverse effects of over-supplementation with the vitamin. Dr. Krupenko’s goal is to determine the best ways to utilize health-protective properties of folate and prevent the possibility of its adverse effects in humans. Dr. Krupenko’s work is covered in 35 peer-reviewed publications in high impact journals and numerous presentations at national and international conferences and meetings. Dr. Krupenko earned her doctorate degree in bioorganic chemistry from the Institute of Bioorganic Chemistry, Byelorussian Academy of Sciences, in Minsk, Belarus. She was a recipient of the Rockefeller Foundation Fellowship in Population Sciences and served on the faculty of the Medical University of South Carolina. 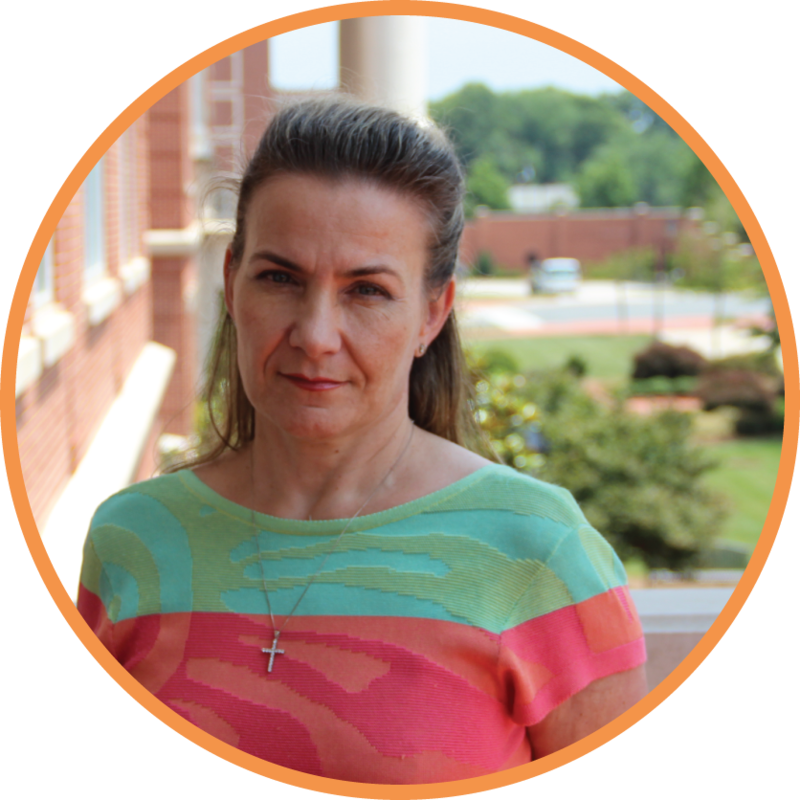 Currently, in addition to her role at the NRI, Dr. Krupenko holds her appointment as an Assistant Professor with the Department of Nutrition at the Gillings School of Global Public Health, UNC-Chapel Hill. 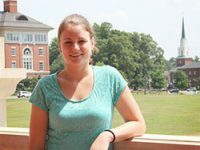 Keri Barron joined the NRI in August 2014 as a doctoral student in the Nutrition department at UNC Chapel Hill. She completed her undergraduate and masters programs at Case Western Reserve University in Cleveland, OH. She graduated in May 2014 with her BS and MS in Nutritional Biochemistry and Metabolism. Her research interests include the genetic variation in risk for cardiovascular disease and underlying mechanisms. Kristen Jeffries received her PhD in Biochemistry from the University of South Florida in May of 2015. Her dissertation focused on the metabolism of long-chain fatty acid amides, a family of cell signaling lipids. 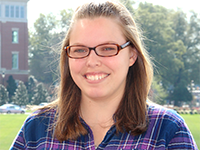 Dr. Jeffries joined the NRI as a postdoctoral research associate in Natalia Krupenko’s lab in 2015 and her research is focused on the functional connection between folate and sphingolipid metabolism. Dr. Peter Pediaditakis joined UNC Nutrition Research Institute in 2015 as a research scientist in the N. Krupenko Lab after several years in an academic setting. His work involves understanding how folate metabolism affects hepatocytes and how those hepatocyte effects influence the whole body. Additionally, Dr. Pediaditakis is creating specific genetic mutants in immortalized cultured hepatocytes to more clearly understand the role of the liver using metabolomics-based methods. Dr. Peter Pediaditakis received his PhD in Cellular and Molecular Pathology from the University of Pittsburgh in 2002. His thesis work was in the laboratory of Dr. George Michalopoulos where he explored the role of hepatocyte growth factor/scatter factor in liver homeostasis and regeneration. 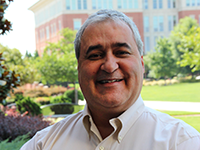 Upon completion of his doctorate, Dr. Pediaditakis joined the laboratory of Dr. John Lemasters at UNC Chapel Hill where he received an individual Ruth L. Kirschstein National Research Service Award. The focus of his post-doctoral work explored the role of protein kinases A and G in the protection of hepatocytes from mitochondrial-induced cell death. After his fellowship, Dr. Pediaditakis worked as a scientist at various institutions and private companies where he continued his work on human and mammalian hepatocyte isolation and metabolism. Dr. Pediaditakis left the laboratory for several years and taught biology, anatomy and physiology, and chemistry at both the high school and college level.